Bedaumine Hnos, Cnel Niceto Vega 5577, Buenos Aires, Argentina. Above: cards and box from "El Vencedor" Spanish suited pack made by Bedaumine Hnos, Cmel. Niceto Vega 5577, Bs Aires, c.1955-60. 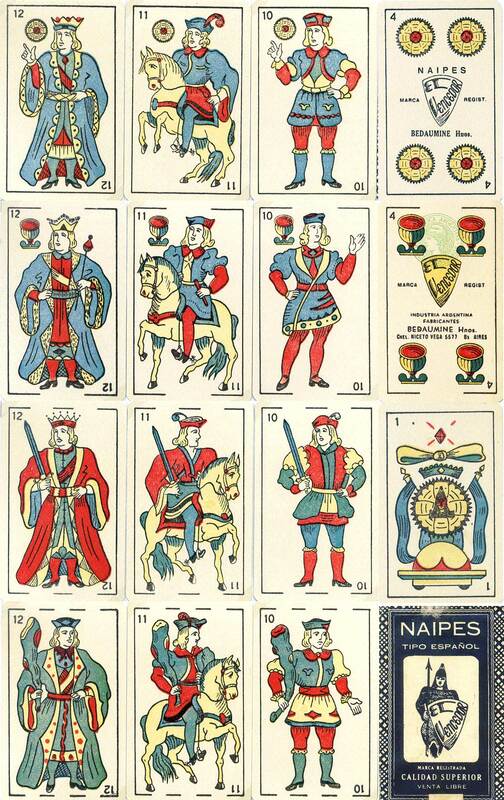 The Court cards loosely follow the Spanish "Catalan" pattern. 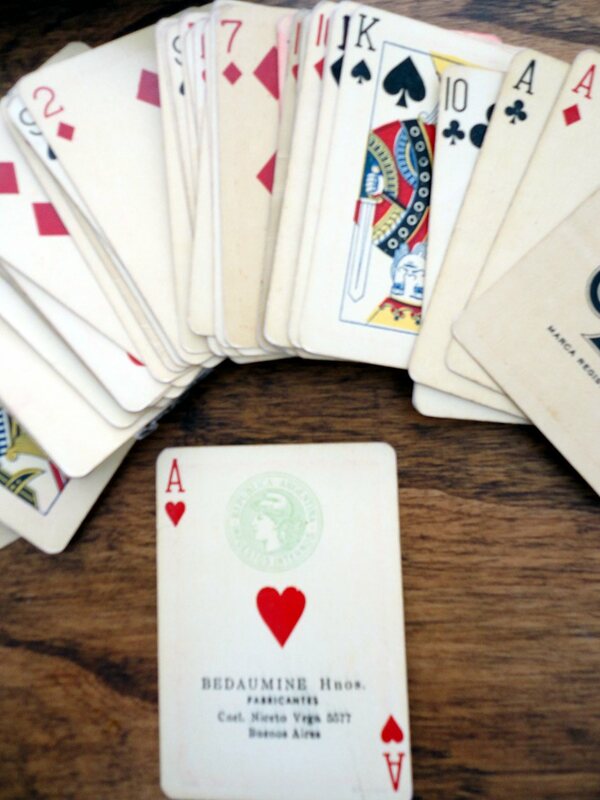 Bedaumine also produced an Anglo-American style deck. Images courtesy Peter Endebrock.